Our northern pecans on our farm in Michigan represent a short season pecan in the northern part of its range. There are over 15,000 species of plants that have been used for food by humans. Today only 150 of these are commercially cultivated to any extent. There are over 10,000 apple varieties. Today only a few dozen are grown commercially and those are from six original selections. Where does all that diversity go? You could say time passed them by or maybe we just forgot about them and were lost. Likely it is our love of uniformity. Modern agriculture loves uniformity-the cultivar or variety is the goal. Everything needs to be the same over and over again. Why do all corn fields look alike? That really isn’t how corn grows in the ‘wild’ or left to breed on its own. We made it that way. For the farmer and the consumer uniformity is desirable. Unfortunately it brings us our demise as well. These types of highly homogenized plants with their genetically identical populations makes a response to an environmental calamity difficult if not impossible. We have frozen them in time with little chance of the population as a whole to change. Come to think of it, where are the new food plants and why don’t we see those replacing our corn and soybean fields as well as finding them available to the gardening public? Is it possible we can have a diverse and delicious environment filled with healthy plants? We think so. 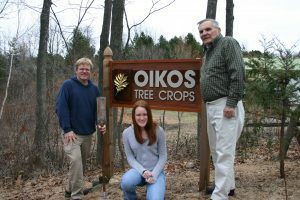 That question was really the beginning of Oikos Tree Crops. Our answer was to work with these new food plants yet not ‘breed’ them to any large degree and use their wild counterparts to make their culture easier and more successful. The end goal was to make our ‘home’ food production more aligned with the laws of nature. If you are interested in creating, preserving and expanding the limits of new food plants then you have come to the right place. This is what we do. Botany falls away. Flavor and nutrition are the new goals. If you want a new crop, you need to start with new seed. This is who we are and what we do. Having multiple flavors, textures and nutrition can only come from a population of genetically different plants. This is the way much of our ancestors ate by collecting and growing from large colonies of plants all a little different from each other. Nutrition from a population of plants is more complete with a broader range of nutrients compared to a single selection. Even the wild plants were often kept as a sort of back up to the cultivated selections. The genetic basis of agriculture lies in these wild and ‘unimproved’ plants but not as a last resort like we have now. Today we sneak off with a gene or trait to put it in its modern day version and call it good only to be create another problem left to a future plant breeder. Instead we should use these seed strains or selections as is to encapsulate the population and carry it forward as a whole rather than an individual. This can be done with woody plants as well as finding new species of annuals and perennials that have been forgotten over time. Everything starts with the seed. Having diverse populations of plants grown from seed in a variety of habitats will create better health and well being for humans. That should be our biological legacy. 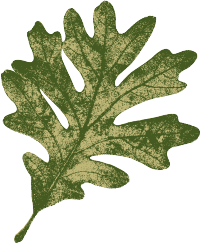 Our Ecos leaf represents a strain of plant produced from us through open pollination done by selecting different hybrids, species, geographical races and other non cultivar based plant breeding. Plants grown from these unique individuals are selected for traits that make them more desirable from a horticultural or agricultural standpoint. These characteristics are passed down through the seed into future generations. 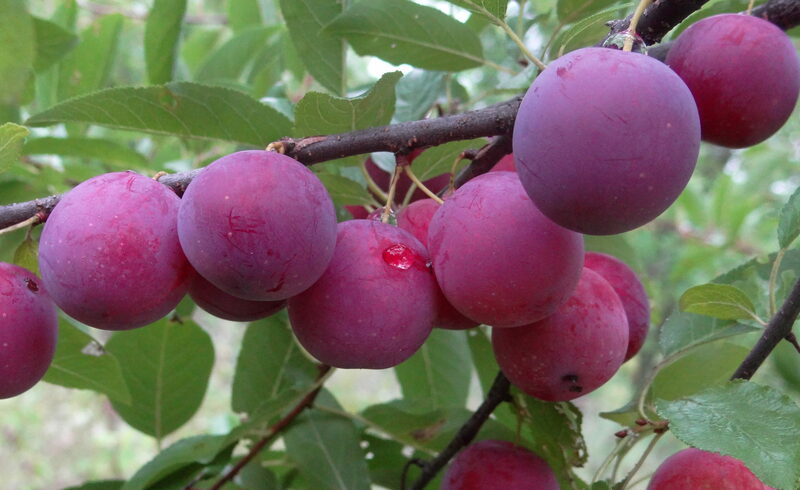 The characteristics may include increased disease resistance, hardiness, productivity, growth rate or fruit quality. Each plant has within it a natural variation and we use that variation to make our ECOS selections. Our plantings for seed production help us create the next generation of plants available to you. Look for the leaf! Ken Asmus – My Story-Why the nursery? My father taught me about tree farming at an early age. The tree farm was my crucible to test my skills and knowledge of plants. My family farm was a great cornucopia of life to me. The ponds my father and his partner had built were a great joy to me and everyone else that came by for a dip. While planting and pruning Christmas trees I found a lot of interesting plants on our farms. After I finished my degree in biology I started my own tree farm in 1982. There I began planting many types of nuts, fruits and sometimes obscure food crops on a sandy hill in southwestern Michigan. The goal was to find flavors and experiment with fruits that reminded me of the wild blueberries and strawberries I use to collect at my family’s farm. I too taught my daughters about tree farming and the patience that comes with it. Today Oikos Tree Crops is one of the few nurseries able to produce its own seed and plants direct from our farm. I do not consider myself a plant breeder but more of a plant herder. I do find joy in growing and then sharing my plant finds to the public at large. It is my hope to share with you a part of nature that is often over looked or even misinterpreted in some way. After 30 years, I see much progress in ‘my field’ but not always in ‘other’ fields. There is work to be done and knowledge to be shared. My nursery is my avenue for that at this time. “Oikos” is a Greek word meaning home or place to live. “Ecos” was coined from this word. “Tree Crops” comes from the philosophy of J. Russell Smith, who published a best selling book in 1930’s called, “Tree Crops—A Permanent Agriculture.” To understand the concept of tree crops more completely means combining our knowledge of ecology and agriculture. Unlike orchards, tree crops should be made up of genetically diverse individuals which would be resilient to environmental changes. Over time only seed based woody plants can keep the pace of a changing climate including increased disease pressure by very effectively changing its constitution to survive. A cultivar based selection is frozen in time unable to move past its genetic background selected by its previous breeder. Dead end. By careful selection over a period of time, seed strains can be used for permaculture as well as commercial agricultural production. Without this continuing influx of diversity, we are lost in our ability to ecologically integrate with our environment and respond to crisis. The goal of Oikos Tree Crops is to provide this diversity and to educate people about the benefits of plants to create a healthy environment. 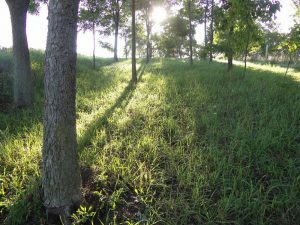 A tree crop farm could provide a needed genetic reservoir of hundreds of potential perennial woody crops all produced from seed. This variation spread out throughout a farm would more likely mimic what is found in nature and provide a more realistic level of understanding on how a plant grows and fruits with minimal grower intervention. In short, it would be the opposite of a university or government research farm. The development of cultivars would be based on organic or ‘low’ organic to demonstrate the resilience of the plants making both individual selections as well as group or population selections. (Not the typical one in a million chance scenario common with modern day plant breeding.) A farmer or grower could sell the seeds, the fruit and the cultivars of these plantings and would in essence become the new land grant university. This system spread out over many geographical regions would be preferred over large collections of single cultivars in one or two locations where a single disease could wipe out a whole collection. Everyone could be the uni-versity. 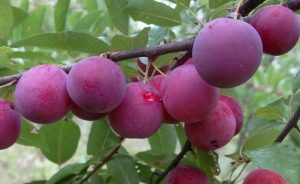 To grow this wild goose plum we started with the original grafted tree and then ‘teased out’ a complex and diversified seedling progeny growing out four successive generations. Although variable from seed, there are no ‘inferior’ seedlings from this group. This type of tree breeding or selection could be used ‘as is’ for future orchards or further selected for clonal use if it meets the standards of no or low spray fruit. 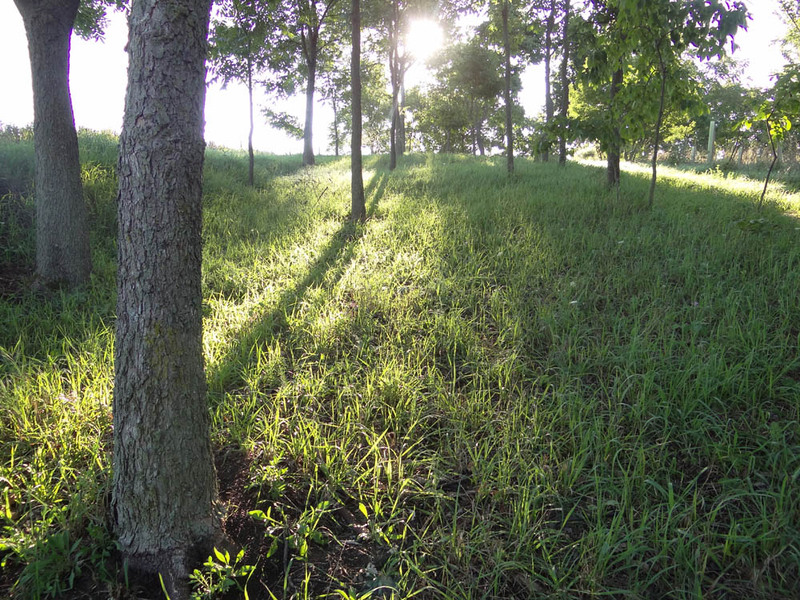 Tree crops could play a large role in the development and implementation of agroforestry projects both small and large. Currently agroforestry has limited application to the public at large. Certainly timber management is applied to existing forests of private and public land but new crops if any are advanced very very slowly. The idea of using marginal land for these designs is appealing but limited. The idea of taking out row crops and substituting agroforestry is non existent. There has to be valuable crops for the land owner developed that makes this leap of knowledge practical otherwise it will be remain just a subset of conservation. Useful yes, but not practical in the long term. 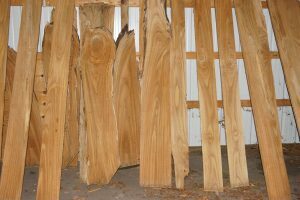 A tree crop farm could do this directly both for research and/or direct application for timber production as well as fruits combining both disciplines. 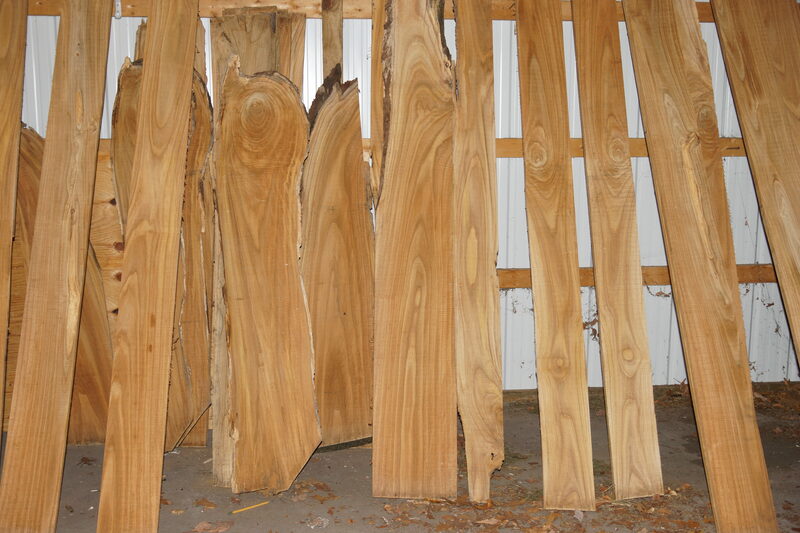 Above is hybrid American chestnut wood cut from our farm after only 20 years. Permaculture uses many if not all of the tree,shrub and perennial crops produced at our farm. The designs created by the many of the hundreds of thousands of certified permaculture designers quickly have gone past the edible landscapes of the early 1980’s. The designs are using both grafted, clonal plants as well as wild forms of common fruit and nut plants including numerous perennial vegetables. Permaculture has become the art and science of ecology as applied to agriculture. From a social standpoint it also engages the landowner into growing,harvesting with an education about the health benefits of certain plants like seaberry, aronia, black currant and pawpaw. Many designers are now working on bigger projects but you do not see support from the conservation industry for larger public permaculture projects. Some apparently view permaculture as not practical or undesirable in some way due to the ‘plant list’ which often reads like the Cornucopia of Planet Earth. Either way, tree crops could provide the bridge to overcome the resistance to these designs and pass the entrenched beliefs of the conservation industry as it exists today creating healthy fruit, nut and perennial polycultures much like Bill Mollison desired. (Certainly not defined by native or non native.) Tree crop farms could make seeds, plants and cuttings available to these projects adapted to the geographic region the installation is happening. It would fulfill the goals of conservation while dealing with carbon sequestration, pollinator enhancement programs as well as home garden edible landscapes. To expand the boundaries of land use makes polycultures the most useful of all agricultural systems. Minimum effort-maximum gain should be the goal. If the development is to fall on the individual landowner, the cost of establishment, maintenance and eventual use may be too difficult to justify the resources allocated to reach its goal. Then it would no more useful than the artificial prairies currently being established. It too would fade in time with few working examples to draw conclusions of its value. In short, it would just sound like a good idea. Like the trees planted during good times, corn fields return when prices change or the land changes hands. On the other hand, small and large public gardens, public lands, urban sites as well as home gardens can demonstrate the valuable nature of the plant components these systems have. Eventually a diculture or triculture could be the beginning point where valuable crops could be grown which would pave the way for the grower to consider expanding the concept. Hybrid systems of row crops of short season crops like 60 day corn could be used to better improve the efficiency of transition from monoculture to diculture. This should be the focus of all research for developing new crops and healthy ways to raise them. The all space filling, self sustainable, self replicating, self regulatory plant communities we call nature can be part of our human design process to include aspects of what we call ‘agri-culture’ which can contains all energy transformations that makes up food production. To make these ‘in-between’ areas of uncultivated and cultivated means thinking of a system that lasts many generations while using the components (plants) that benefit the health of humanity. Tree crops is by definition of J. Russell Smith is not a new orchard crop of cloned uniformity but a way to move forward new food plants and how to use them in this era of great change.